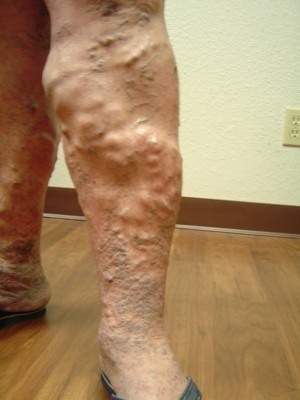 Varicose veins are swollen, gnarled veins that most frequently occur in the legs, ankles and feet. 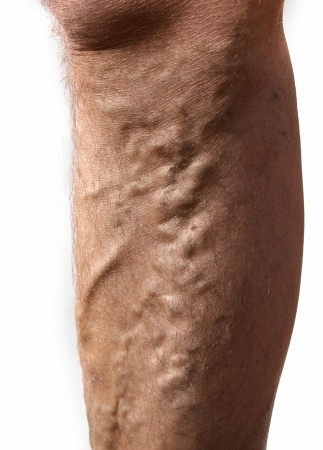 They are produced by a condition known as venous insufficiency or venous reflux, in which blood circulation through the lower limbs does not properly return to the heart but instead pools up in the distended veins. More than 25 million Americans suffer from venous reflux disease. The symptoms can include pain and fatigue in the legs, swollen ankles and calves, burning or itching skin, skin discoloration and leg ulcers. 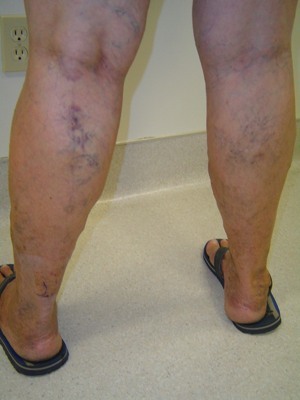 In less severe cases, thin, discolored vessels- "spider veins"- may be the only symptom. Severe varicose veins can have a significant impact on the lives of people who work on their feet- nurses, teachers, flight attendants and other service personnel have a higher-than-average risk of venous reflux disease. Research has shown that more than two million workdays are lost each year in the US, and annual expenditures for treatment total $1.4 billion. 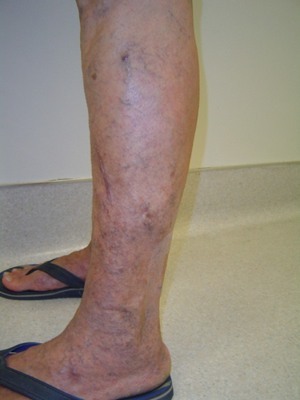 This is one of the most severe cases of varicose veins that we have worked on. The patient was having extreme discomfort for many years. 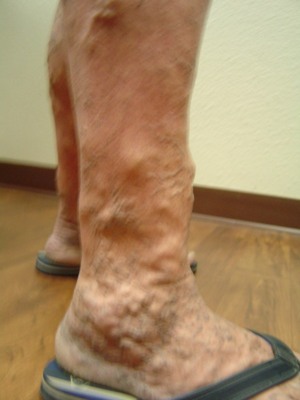 Dr. Pandya significantly reduced the Varicose veins and the results speak for themselves. Quality work is a top priority for Dr. Pandya. 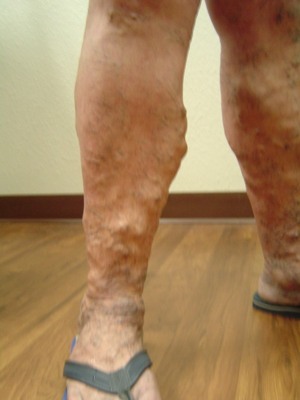 To review the varicose veins treatment click here. please call (559) 782-8533 to make an appointment with Dr. Pandya.